I am participating in The Real You Weight Loss program courtesy of the Parker Hannifin YMCA to facilitate this conversation. All opinions are my own. It's been one month and 27 days since starting the Real You Weight Loss Program at the YMCA. And, I finally hit my first ten-pound goal! I've lost eleven pounds total and almost two inches everywhere - waist, arms; even calves! I did not think that the Real You program would have such an impact on how I view exercise and diet. But, it did. This experience has been amazing. The only way I've lost weight in the past was to drop high carb foods from my diet. No pasta, no bread, no fruit, no sugar. I hated it. Sure, complex carbs were okay, but the fact was - I set myself up to fail. As soon as I ate bread or ice cream, it was over. I also liked low carb diets because I didn't have to count calories. I just ate. I lost the pleasure that came with eating something that tasted good. Real You has taught me that counting calories and 'clean eating' allow for a more realistic relationship with food. I find pleasure in eating good, healthy food again. I'm not just eating to eat or when I'm bored. I love that I'm incorporating fruit into my diet! Even eat bread! Whole grain bread with a reasonable amount of calories. I still can't bring myself to eat it every day or every other day for that matter, but that has more to do with how I want to spend calories. I still hate working out, but l-o-v-e that I get more calories. Linking my Fitbit to MyFitnessPal keeps track for me. I just have to record what I eat. Even though I have the calories, I don't often spend them all. Of course, when I make questionable choices my coach Denise is quick to comment. Accountability is a pretty big motivator. I'm less likely to eat something if I know that someone is keeping an eye out for me. I would love to get to the point that I won't have to record every single bite, but that is at least 74 pounds from now. 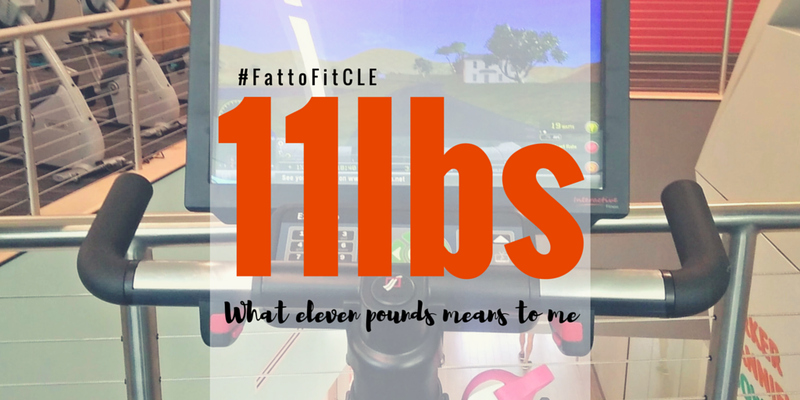 What do 11 pounds mean to me? 11 pounds means I had to buy a smaller sports bra. Why must the girls get smaller? 11 pounds is one more than ten! 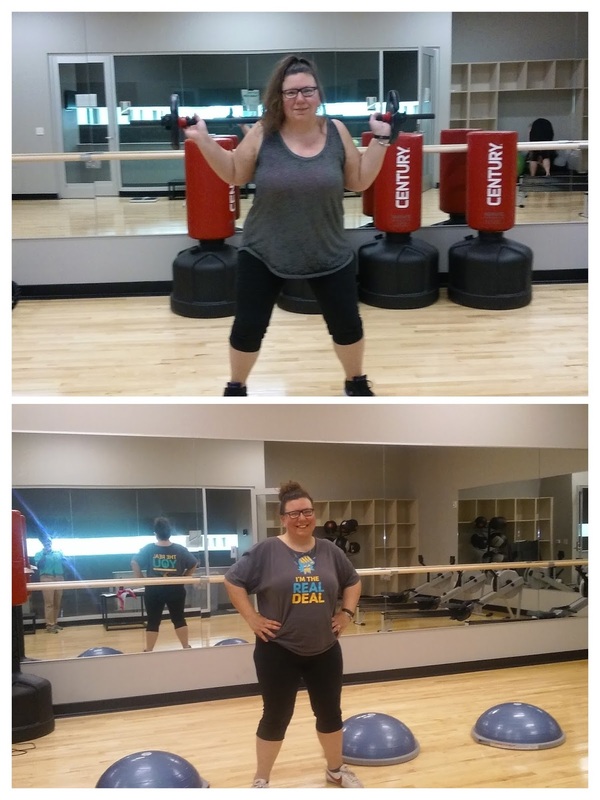 Real You Weight Loss Program is offered at a Greater Cleveland YMCA near you! Follow my #FattoFitCLE adventures on Instagram!